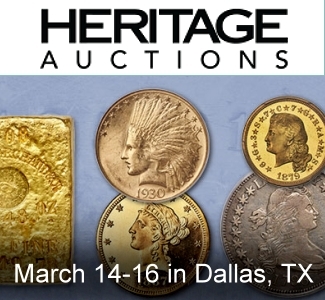 Stack’s Bowers Galleries’ October 25 offering of Part III of the Joel R. Anderson Collection of United States Paper Money achieved $8,619,240 USD in the firm’s Official Auction of the Whitman Coin & Collectibles Winter Expo in Baltimore. 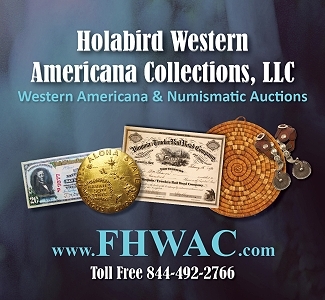 Among the many rarities featured in the catalog, the highlight was the finest known 1890 $1,000 “Grand Watermelon” Treasury Note which realized over $2 million. 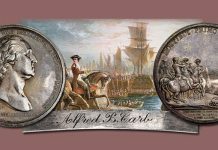 With an average lot price of nearly $160,000, Part III brings the total to date for the Joel R. Anderson Collection to over $26 million, with one more offering planned for February 2019 in Baltimore. Lot 3016 offered a unique Act of October 12, 1837 $100 Interest Bearing Note, the only known federal note issued between the 1815 Treasury Notes and the Demand Notes of 1861. This example, the only issued note from this early federal series, brought $114,000, over four times the high estimate. 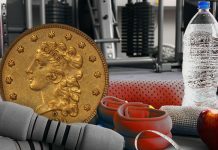 The note traced its pedigree to such well-known names as Charles Steigerwalt, Henry Chapman, Farran Zerbe, and John J. Ford, Jr. The only Refunding Certificate presented in Part III of the Anderson Collection, an About New 58 PPQ Fr. 213 $10 in lot 3024, was bid to $780,000. 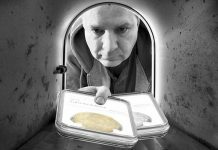 It is the only privately held example of just two known, with the other permanently ensconced in the Bureau of the Public Debt. 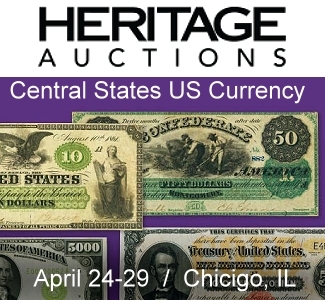 Several 1878 Silver Certificates highlighted that portion of the sale, beginning with lot 3030, a Fr. 284 $10 Silver Certificate of Deposit graded Extremely Fine by PCGS Currency. This extraordinary note, one of only four known, realized $240,000, well above its presale estimate. 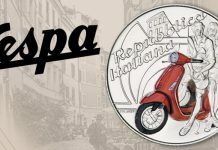 The next lot featured a $20 Silver Certificate of the same year which more than doubled its presale estimate at $180,000. 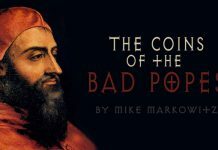 With the 1878 Fr. 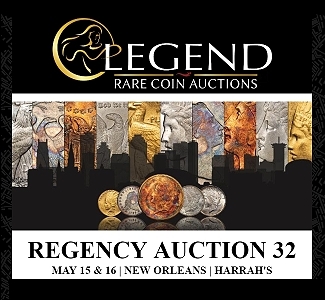 324c $50 in lot 3034 selling for $288,000 and the Fr. 337b $100 in lot 3035 bringing $660,000, this quartet of notes realized a total of $1,368,000. The highlight of the evening was the “Holy Grail” of American currency, the note voted to the top spot in Q. David Bowers and David Sundman’s 100 Greatest American Currency Notes. The Anderson example of the 1890 $1000 “Grand Watermelon” Treasury Note, graded About New 50 by PCGS Currency, is one of only two Fr. 379a notes in private hands. 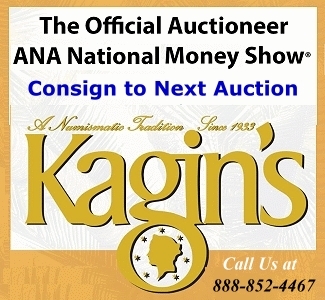 It was the first note to cross the $1 million mark when it was last auctioned in October 2005. Thirteen years later in Stack’s Bowers Galleries’ Baltimore auction, it nearly doubled that realization, bringing $2.04 million. 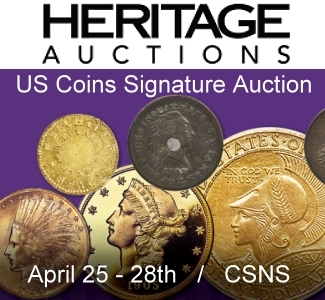 Part IV of the Joel R. Anderson Collection will be presented in February 2019 as part of the Stack’s Bowers Galleries Official Currency Auction of the Whitman Coin & Collectibles Spring Expo in Baltimore. 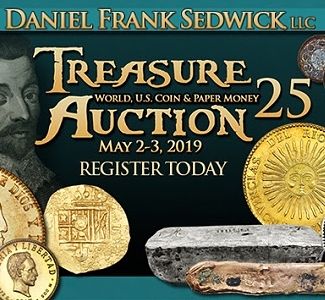 For more information on the Joel R. Anderson Collection or about Stack’s Bowers Galleries please contact Stack’s Bowers Galleries President Christine Karstedt at 800-458-4646 or at ckarstedt@stacksbowers.com. 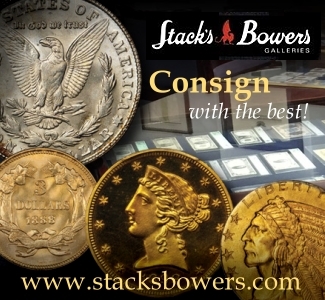 Stack’s Bowers Galleries conducts live, Internet and specialized auctions of rare U.S. and world coins and currency and ancient coins, as well as direct sales through retail and wholesale channels. 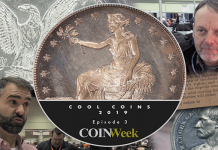 The company’s 80-year legacy includes the cataloging and sale of many of the most valuable United States coin and currency collections to ever cross an auction block — The D. Brent Pogue Collection, The John J. Ford, Jr. Collection, The Louis E. Eliasberg, Sr. Collection, The Harry W. Bass, Jr. Collection, The Norweb Collection, The Cardinal Collection and The Battle Born Collection — to name just a few. 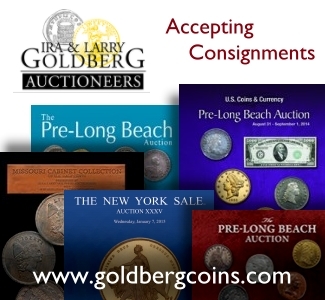 World coin and currency collections include The Louis E. Eliasberg, Sr. Collection of World Gold Coins, The Kroisos Collection, The Alicia and Sidney Belzberg Collection, The Wa She Wong Collection, The Guia Collection, The Thos. H. Law Collection, and The Robert O. Ebert Collection.